Don and Jan Bosson were absolutely wonderful in helping us find our new home. As first time home-buyers, the process can be a little intimidating, to say the least. 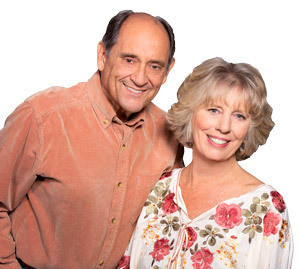 We found that not only were Don and Jan super friendly and easy to talk to, but they’re also extremely experienced in the process as a whole. Their knowledge of the area made the whole experience run very smoothly and we found the perfect home in just a few months. Furthermore, both were always immediately available for any challenges we faced as far as deadlines and paperwork were concerned. Don and Jan Bosson were recommended to us by a friend and we are more than happy to make the same recommendation for future home buyers. "It’s almost Spring and we couldn’t be happier welcoming the new season in our new home. Our experience working with you to buy a new home was wonderful-professional,... continued"